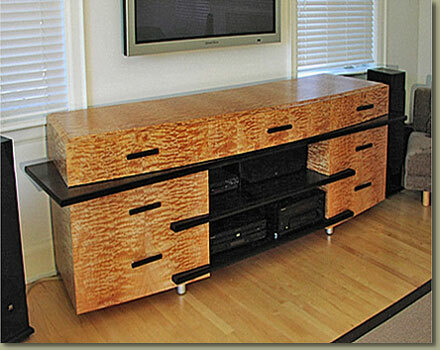 Blistered big leaf maple, macassar ebony shelves and pulls. 94" long. One of seven pieces for a private residence.